I think that he succeeded in not only replicating the original but also bringing something of his own to the image too. In looking at the gallery of images on his website I couldn’t figure out how he was making these images – were these elaborate sets similar to those that we saw Gregory Crewdson prepare? Or something else? Take a look at the images and have a guess. Once you’ve done that check out the videos below for the answer! 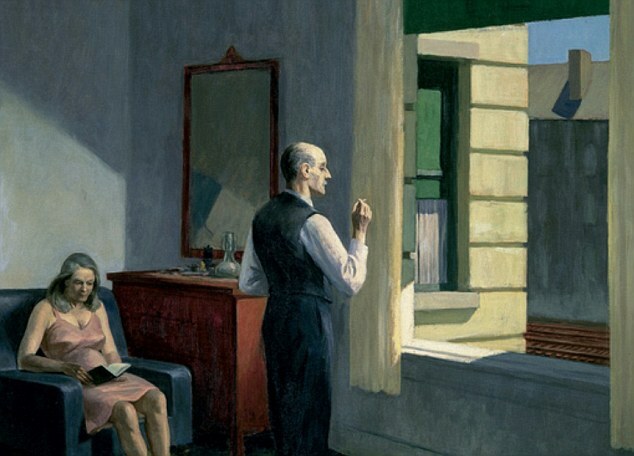 This article also has a nice discussion of the technical aspects of ‘Hopper Mediations’. Richard Tuschman on Montage from Seth Thompson on Vimeo. 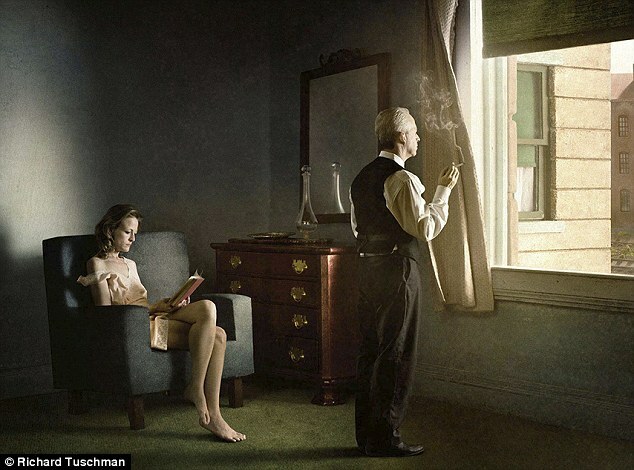 Richard Tuschman on Hopper Meditations from photo-eye on Vimeo. This entry was posted in Friday Inspiration, Video and tagged Digital, Edward Hopper, Friday Inspiration, Gregory Crewdson, Hopper Mediatations, Montage, Photo-Eye, Photography, Richard Tuschman, Video by nixonphoto. Bookmark the permalink. Stunning! Your links deliver, Friday after Friday 🙂 Thank you. I’ve seen some of Edward Hopper’s original work. I think you’re right that Richard conveys a similar feel, but in his own way. Thanks for sharing this!